You'll find that you can't install the app on your Wear OS device, either from the watch itself or from the Play Store web interface, the latter showing Hangouts as incompatible. 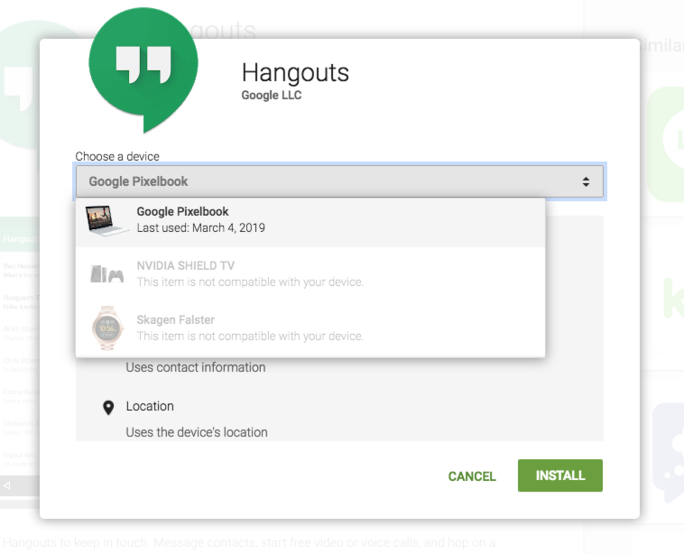 Google is slowly moving Hangouts users to discrete services for text and video chat — Hangouts Chat and Hangouts Meet, respectively — so it's possible the new apps will see Wear OS versions. 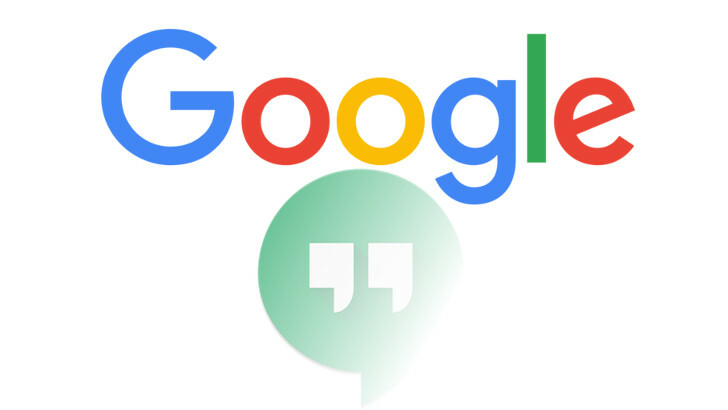 But we can't know for sure, and in any case, Hangouts users are currently without a wearable solution. "Hangouts on Wear OS by Google devices will no longer be available for download from the Google Play Store. If you already have the Hangouts app installed on your watch, you will still be able to view message lists, send and receive messages, get notifications. If you are a current hangout user on Wear OS by Google, you can still access the app until you perform a factory reset on your watch or if you manually uninstall the app on your device." So if having Hangouts on your smartwatch is important to you, treat that app with kid gloves; once it's off your watch it's gone for good.